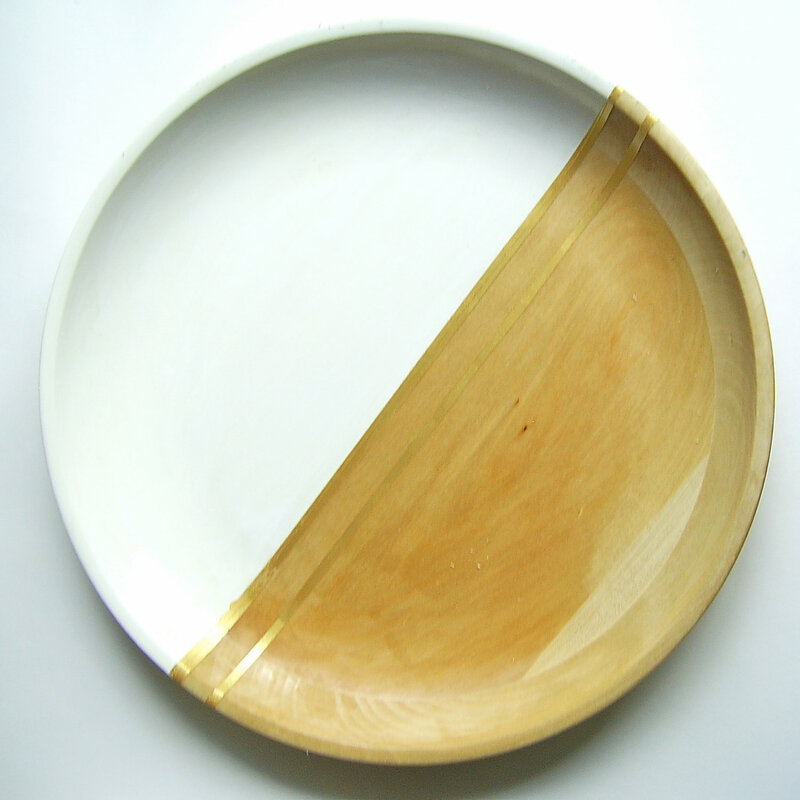 "Made from high-quality beech wood, this plate has been carefully turned from a single plank and then dried. 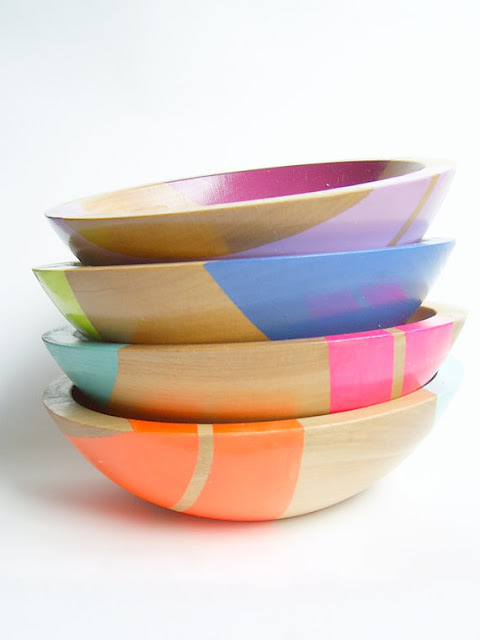 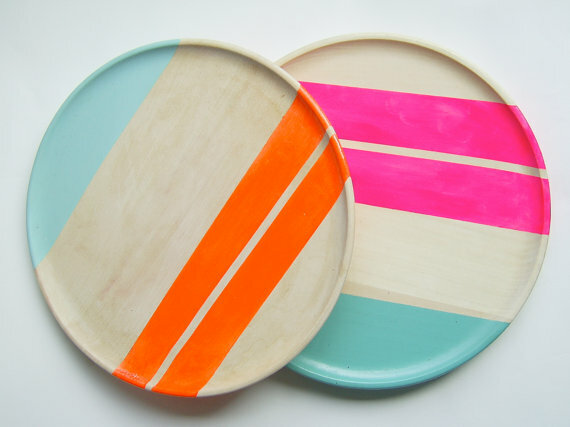 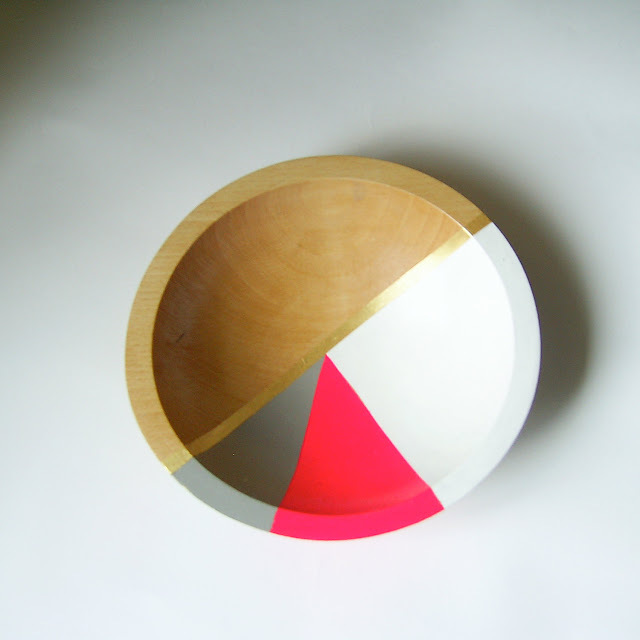 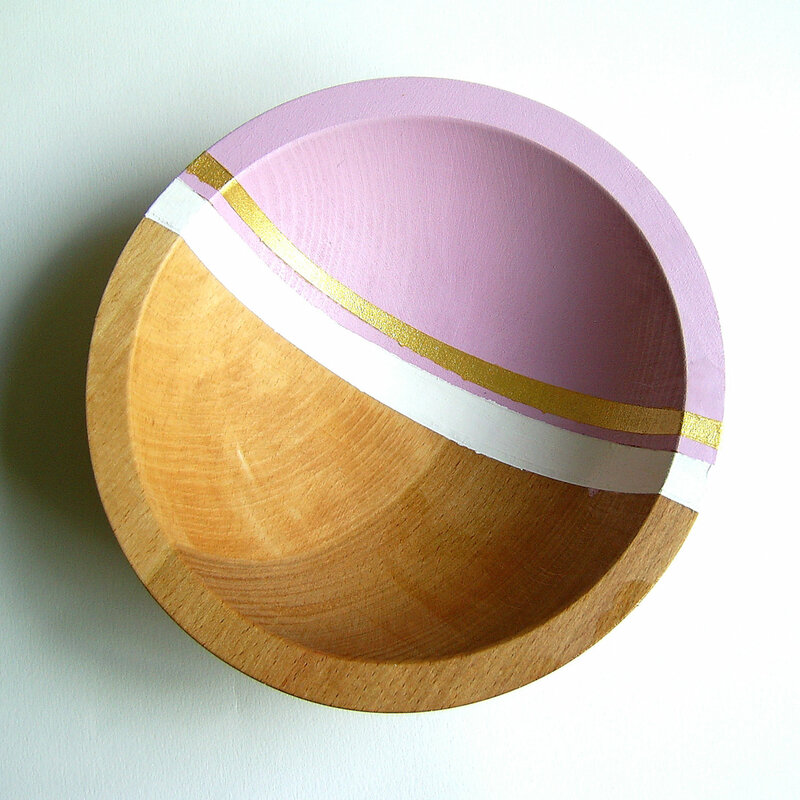 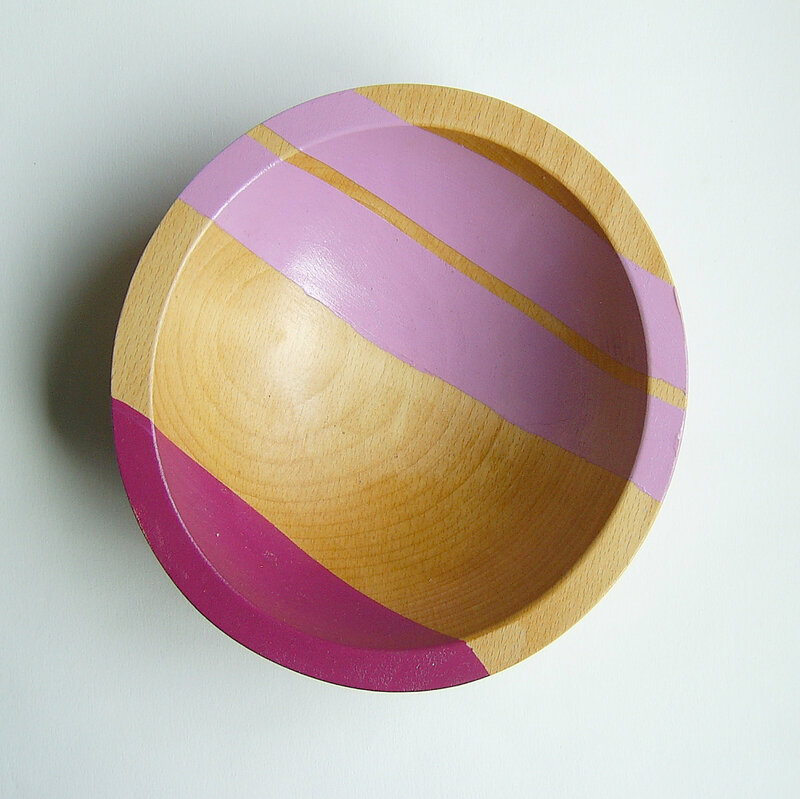 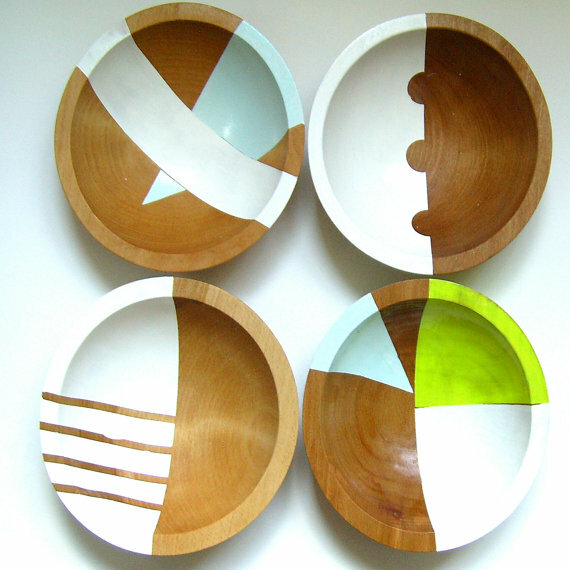 Each bowl is hand colored with acrylic paints protected then by a non-toxic film." So not only are they beautifully unique, but they are practical as well. Sounds good to me. 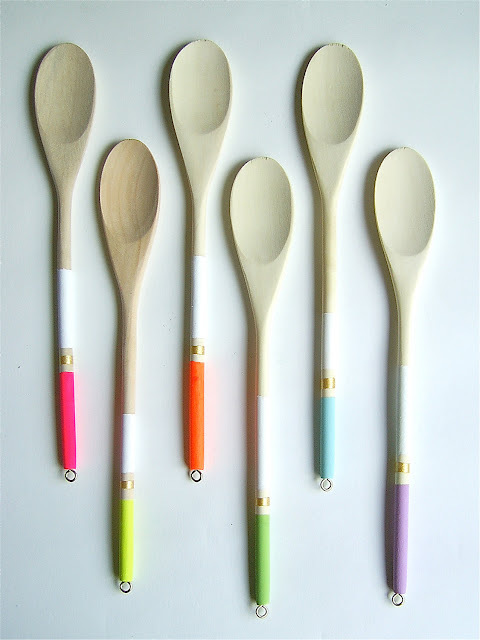 These would make a great gift...for me!